In 1971, I was still a merchant marine officer. We used to call at Chittagong frequently but did not have much social contact in Chittagong. It was immediately after the liberation of Bangladesh that I joined the Chittagong Port Authority as a marine pilot. My official designation was Assistant Harbour Master. Towards the latter part of 1971, I left my job on Pakistani ship and was hiding away from public focus in fear of the Pakistani military. So, it was obvious that I needed a job, but the other reason for joining port immediately was to revive and reactivate the major port so that we could receive the vital aid cargo and gradually play an important role in our international trade. I joined the port first on a voluntary basis to participate in salvage work to clear the channel. Then Mr. Kibria, the then chairman of the port asked me to join the port. Perhaps on some other occasion, I shall write about our activities in the war-ravaged port in the early days of liberation. Today I shall get back to the original subject matter. As I joined the service in the port, I gradually got acquainted with other people associated with port activities. These included shipping agents, stevedores and major businessmen directly connected with import-export of commodities. My social connections kept on expanding. There was a young gentleman named Mr. Dubash. I became quite friendly with him. It is through him that I met late Abdul Hamid Khan Bhasani (popularly known as Moulana Bhasani) for an exclusive meeting. Mr. Bhasani was a great personality. I shall long cherish the memory of that meeting. On another occasion, Mr. Dubash asked me if I would accompany him to a friend’s house for a get-together and adda (discussion). I agreed without any hesitation because Mr. Dubash was a sophisticated person and his social contacts included well-educated people. I remember we went to a riverside bungalow of a senior officer of Burma Eastern. It was soon after Maghrib prayer about 7 or 7:30 in the evening. As our host opened the door, we got introduced to each other. There was another person already there, and he introduced himself as Mr. Serajul Islam. Mr. Islam was an engineer. I am narrating an incident soon after our liberation. Those days we were all in high spirits. We used to dream of making Bangladesh something unique. Our discussion, as usual, got into high gear. Political situation and the future of Bangladesh became a favorite topic of discussion. I noticed one thing. Mr. Serajul Islam was not talking much but listening to everything very attentively. I drew his attention and requested him to let us know his views as well. He reminded us that we had seen Ayub and Yahiyah. We had also seen martial law, not once but twice. He asked us if we saw any family legacy or royal legacy. We remained silent, more so because we had no idea as to what he intended to say. After a minute or two of silence he said, “If we are alive for a few years more, we will see both – poribartantra and rajtantra.” We could not make out much of what he said. We requested him to kindly expand or explain his statement. He said, “I do not have to tell you more. Go home and think about it. You will get some idea”. Soon after that discussion, we left though our host wanted us to stay for dinner. 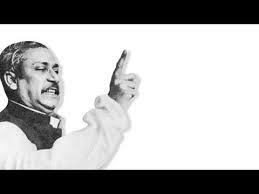 “Where is Shiraj Shikdar now?” boasted Bangabandhu Sheikh Mujibur Rahman standing before the parliament members. 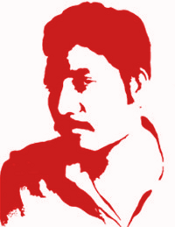 A few days later we heard the Prime Minister Sheikh Mujibur Rahman saying in the parliament, “Where is Shiraz Shikdar? …………….” That happened to be one of the first extra-judicial killings in Bangladesh, and that legacy continues. When I got the newspaper in hand, I got the biggest shock of my life to see the picture of Seraj Sikder. He was none other than Mr. Serajul Islam whom we had met earlier. I had a long discussion with my good friend Dubash, and we both decided not to talk about it to anybody. As I look today in Bangladesh – every big road or building or a bridge, it is all named after one person. The satellite in the sky to the naval ship at sea – nothing has been spared. They all bear one name. It is same like in the UK – King’s College, Queen’s Hospital or QE-II Bridge. Next generation of naming already started in Bangladesh. The present Prime Minister laid the foundation stone for military base named after her. It will probably continue for generations. Late Seraj Sikder was not wrong in his predictions. Unfortunately for us, the Sheikh family was not the only one trying to establish the family dynasty. Begum Khaleda Zia followed late Ziaur Rahman, and now she is trying to groom her son Tareq for the party leadership. The difference is that late Zia never practiced this family business. When Zia was president, people knew very little about his family members. However, former president Ershad practiced the family business in political life as his wife was second in command and his brother under training (probably because he had no son). The disappearance of Ilyas Ali and many others have the same reason as the brutal murder of Sagar-Runi has. Such disappearance and killings are going on and will perhaps continue as long as political opponents continue to exist. Mr. Mahmudur Rahman, Mr. Shafiq Rehman, and Mr. Mehfuz Anam (renowned writers/journalists) know it very well what to write and what not to write. It is now virtually one-party state. Even slightest criticism of the government makes one shadinota birodhi shakti (anti-liberation force/element). No wonder a German research institute identified Bangladesh as one of the five states that are gradually slipping into dictatorship. The new history of Bangladesh is also shaping well. There is no trace of the heroes of the liberation war like Tajuddin, Usmani, Zia or Khaled Mosharraf. Books only mention all heroic deeds were performed by one party, and more precisely by one family. The military, civil service, and judiciary obediently follow dictums of the ruling family. Let us salute late Seraj Sikder, the greatest philosopher. He had the vision. He predicted about 45 years ago what we finally achieved today. He did not leave any clue for us to come out of it. We have to find our way. As Sheikh Mujib himself said, “We cannot be suppressed anymore. We have given blood, we will give more blood, but we shall Insha-Allah liberate the people”. May Allah help us all.